This post is a guest blog originally posted on the Vietnam Coracle, and you can see it here. One of the biggest expenses will be your motorbike. For this, there are two options: rent or buy. Without going into details about the pros and cons of renting vs buying (that’s for another post), in general your motorbike will cost you around $10 a day. 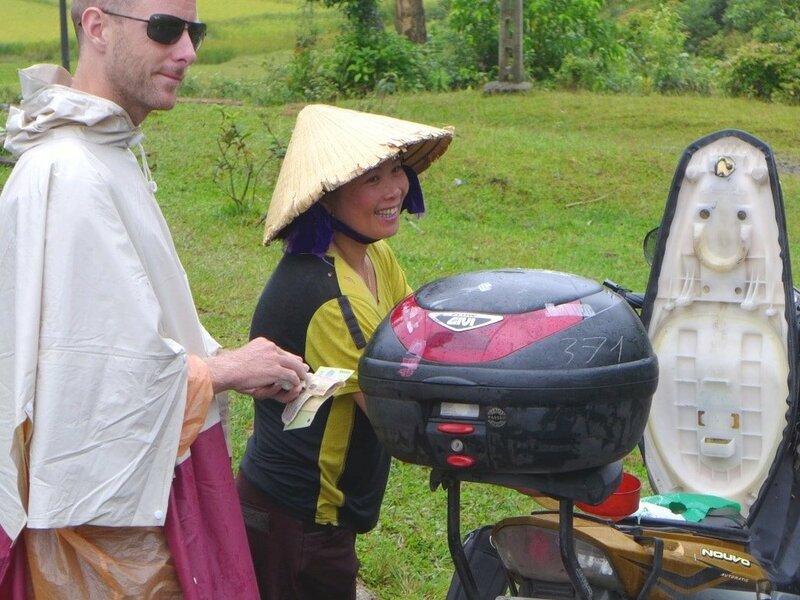 Rent: If you choose to rent your motorbike, you should do so from a reputable company: Rent a Bike Vietnam and Flamingo Travel are both professional, efficient and reliable rental services, and they can usually arrange pick-up and drop-off in particular locations around the country. Rental costs per day will depend on what kind of motorbike you want. But, for the most common motorbikes – standard automatics or semi-automatics – the cost will be around 200,000vnđ (around $10) per day. If you’re renting for a week or more you should be able to negotiate a discount. Buy: You can buy a used motorbike, such as a Honda Win, for as little as $200, but you will have to spend money on maintenance before and, most probably, during your trip, which, aside from being a nuisance, will increase the costs considerably. However, there is another way: Tigit Motorbikes offers various motorbikes, all in excellent condition, for around $1,000 – sounds expensive, but wait! 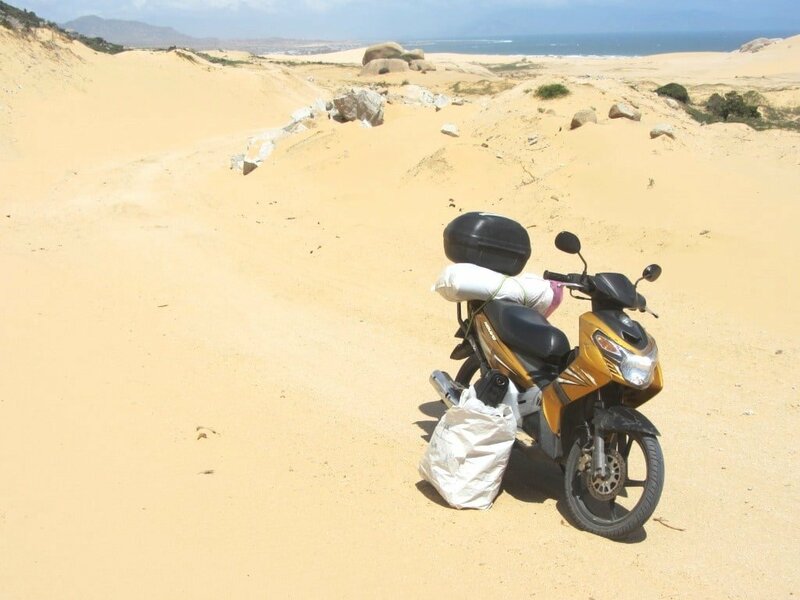 Tigit will then guarantee buying back the motorbike at the end of your road trip for $750-800 depending on the motorbike and the duration of your trip. So, in many cases this works out at far less than $10 per day, and you can rest assured that your motorbike has been well-maintained, because it’s in Tigit’s interest to keep their motorbikes in good condition as they will be buying them back and using them again. 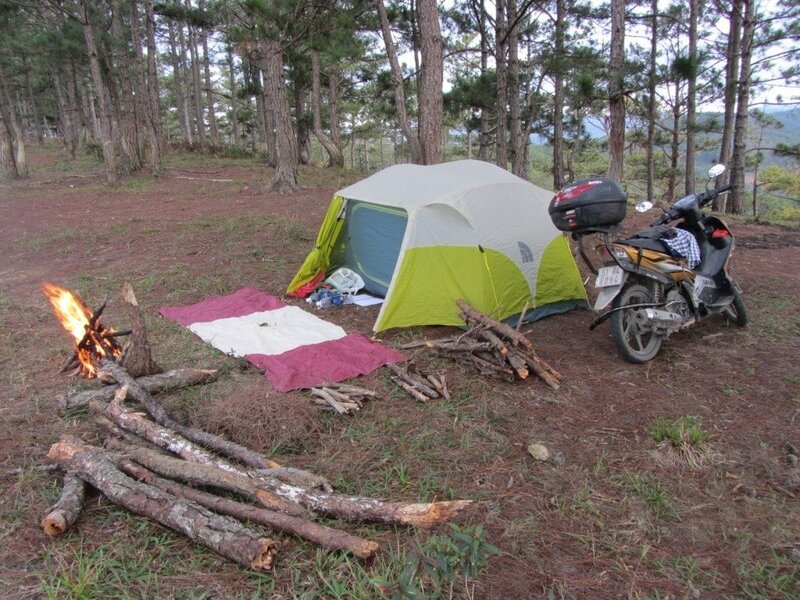 Once you have your motorbike, your biggest daily expense while on the road will be accommodation. Guesthouses: Unless you’re sticking entirely to the beaten track, you will be spending most nights in nhà nghỉ (local guesthouses). These can be found all over the country – even in the remotest regions – and are usually great value for money: 200-350,000vnđ ($9-16) for a double or twin room makes them particularly good value for couples or two travelling companions. If you’re travelling alone and you bargain politely you should be able to get a room for 150,000vnđ ($7). 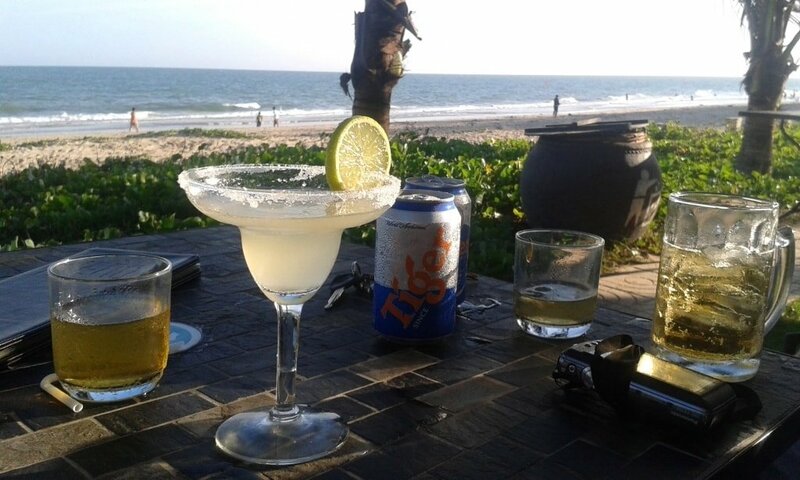 For much more about nhà nghỉ read my guide to local guesthouses here. Camping: One way to significantly reduce the cost of accommodation is to camp. This is definitely an option on remote stretches of road, such as the Western Ho Chi Minh Road, or where there are designated campsites, such as the Ocean Road. However, it does mean taking more equipment on the back of your motorbike and, if you’re camping in the ‘wild’, you should be very careful when choosing a site to pitch your tent. For more on camping in Vietnam take a look at my camping guides archive here. How much you spend on gas will depend on the distances you intend to cover each day, and on the type of motorbike you’re riding. 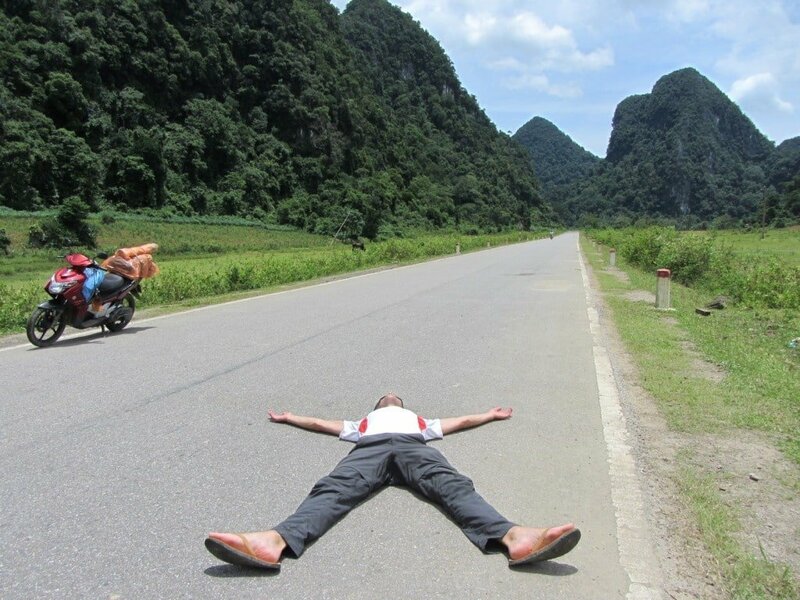 A long day on the road in Vietnam is around 300km; a short day is around 100km. Of course there will be days when you will be static and this will offset the average daily cost for gas. Most standard motorbikes have a 3-4 litre tank which will take you around 100-200km, depending on the condition of the motorbike and the terrain you’re covering. At the time of writing (April 2016) gas prices were extremely low: At around 16,000vnđ per litre, a full tank only costs between 40-60,000vnđ ($2-3). On average – over your entire road trip, taking into account the days that you will be static – you will probably only use one tank of gas per day. When it comes to food – and especially drink – how much you spend is down to you. Eat local street food for all your meals (which in itself is a great experience) and you could pay as little as 20,000vnđ (under $1) per meal. If you are eating locally, a large, hearty breakfast or lunch accompanied by a coffee or a soft drink should never really be more than 50,000vnđ ($2) per person. Dinner can be just as cheap but, after a long day in the saddle, most travellers feel the need for a few ice cold beers and a relative banquet. This will probably double the cost: 100,000vnđ per person will get you a feast, including alcohol. When you’re riding along the coast, it’d be a shame to miss out on the seafood, but this too can cost a little more. 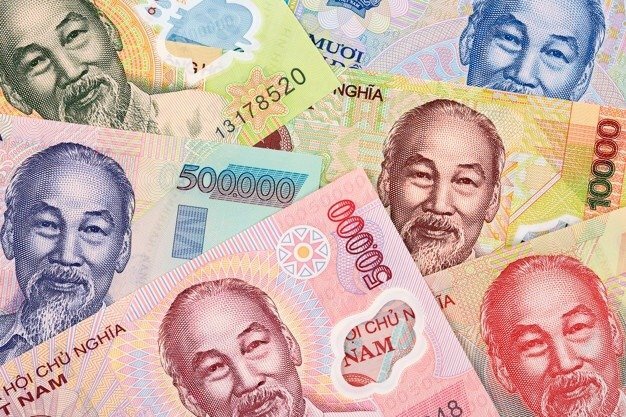 Based on a bowl of noodles and a coffee for breakfast, a soft drink and a rice-based meal for lunch, and a large dinner with beers, 140-200,000vnđ ($6-9) per day should cover it. 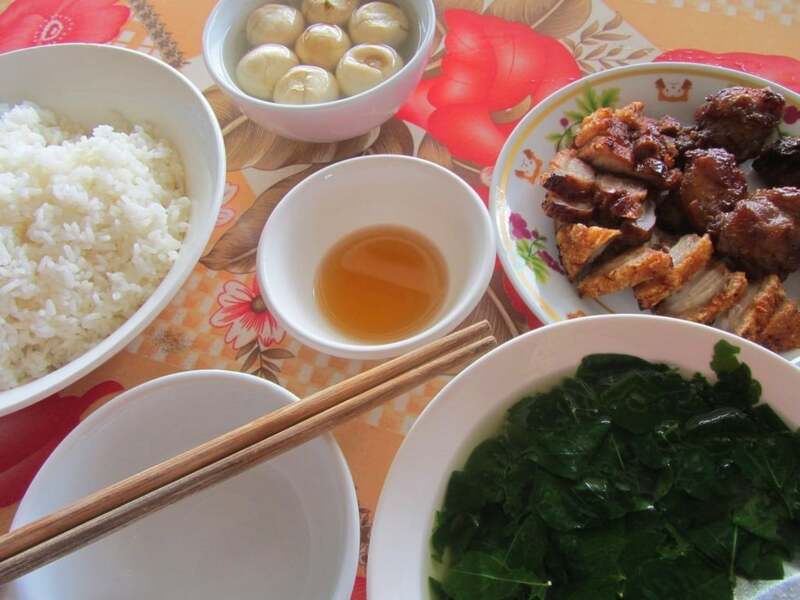 When riding in isolated areas of the country, most meals will be at quán cơm phở (local rice and noodle joints) which you can read more about here. Allow a few dollars per day for extra costs. These might include entrance tickets for attractions, sites, museums; minor motorbike repairs, such as a flat tyre; roadside snacks like a packet of biscuits; and lots of water to keep you hydrated. Also, leave room for some ‘luxuries’: a sunset cocktail at a smart beach bar, or a western meal in a big city after days of eating rice in the mountains.